Occupancy numbers from January through June 2016 closed at 80.88% with 2,225,122 room-nights, 1,362,184 visitors and an economic impact of US$942,453,136; these statistics top those of 2015’s first semester. 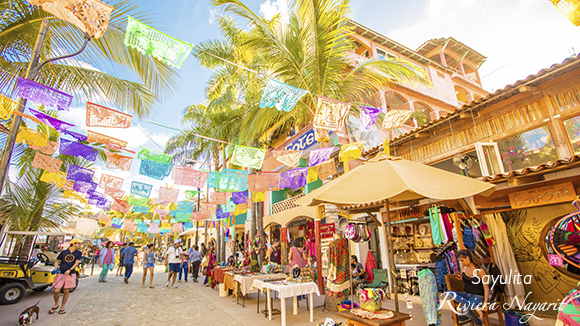 The Riviera Nayarit Convention and Visitors Bureau Barometer published the results for the first semester of 2016, all of which outdid those obtained during the same time period in 2015. “This is, without a doubt, a reflection of the work accomplished by the CVB, the hotel associations, the authorities who demonstrated an interest and a commitment to boost the Destination, the businesses who offered their best services and of all the working citizens who represent our Destination day after day,” said Marc Murphy, Managing Director of the Riviera Nayarit CVB. The economic impact of the current year’s first semester was US$942,253,136, a 12.51% increase over the US$837,656,765 earned in 2015. Occupancy from January through June of this year topped out at 80.88%, a 2.52% increase over that of 2015, which closed at 78.36%. Room-nights increased by 5.04% in 2016 for a total of 2,225,122 occupied rooms versus 2,118,253 in 2015. There were 184,136 more visitors this year, a 15.63% increase when you compare this year’s number of 1,362,184 with 2015’s total of 1,178,048.